Summit School of Dance will put on two unique performances at 6 p.m. May 6 and at 4 p.m. May 7, both at the Summit High School auditorium in Breckenridge. 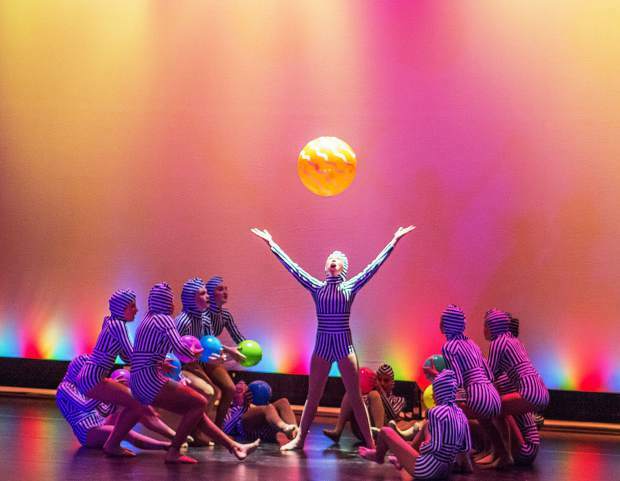 Preschoolers will become growing flowers, boys will go on a mission to Mars and historical figures across the centuries will make appearances as the Summit School of Dance puts on its spring recital May 4 and May 6 at Summit High School. The recital, “Dance at its Peak,” actually includes two unique shows, one at 6 p.m. May 6 and another at 4 p.m. May 7, both at the Summit High School auditorium in Breckenridge. The performances, which will feature roughly 250 dancers performing scores of numbers, will be the last for Melanie Frey, the longtime owner for the last three decades who decided to retire this year, and so this year’s show comes with extra significance. Tickets are $10 for adults, $5 for students and $15 for reserved seating. For questions, call the school at 970-668-3975.